Your kids probably know all the numbers already but writing them is a whole new thing! 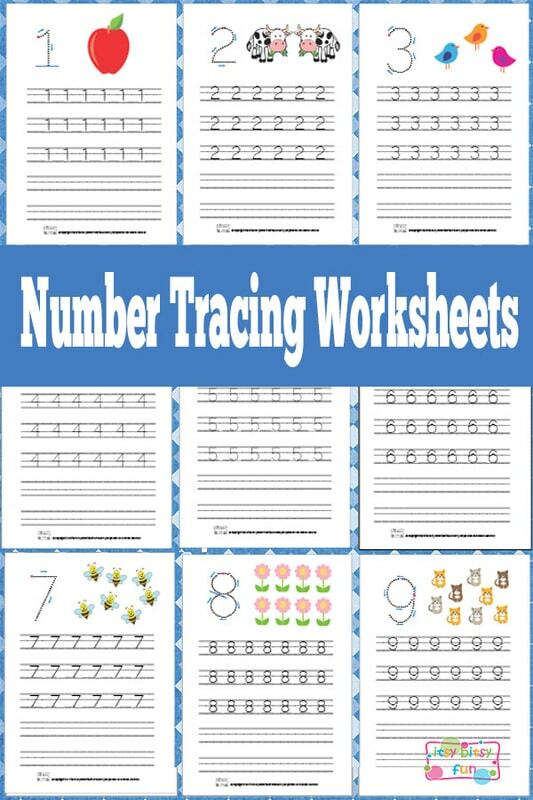 That’s where these number tracing worksheets come in. 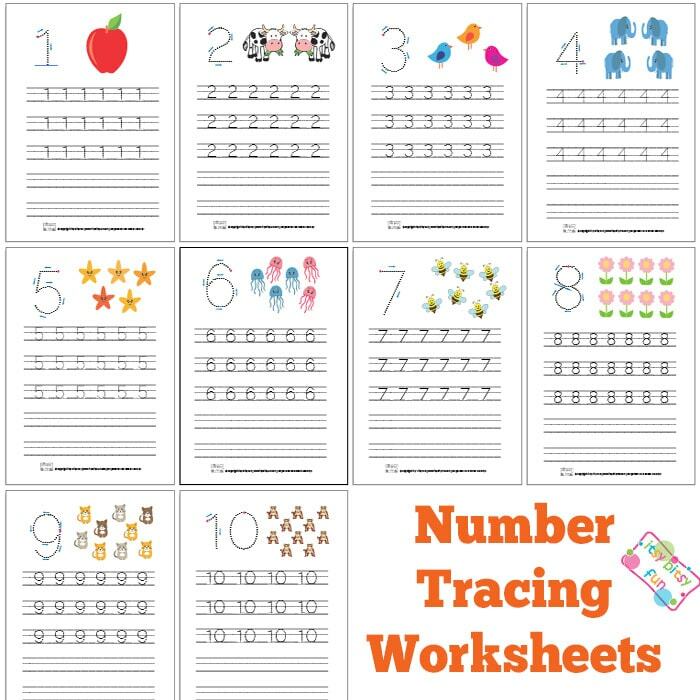 Let your kids master writing down their numbers – print one of these worksheets and let the tracing practice begin. We already did the ABC’s so if you need to work on them be sure to get the alphabet tracing worksheets too. We suggest you laminate each page so your kids will be able to use them over and over again. Lets do some tracing and learning. So I wanted to make these a bit colorful for kids to like a bit more while still keeping them printer friendly and I think they turned out quite well! 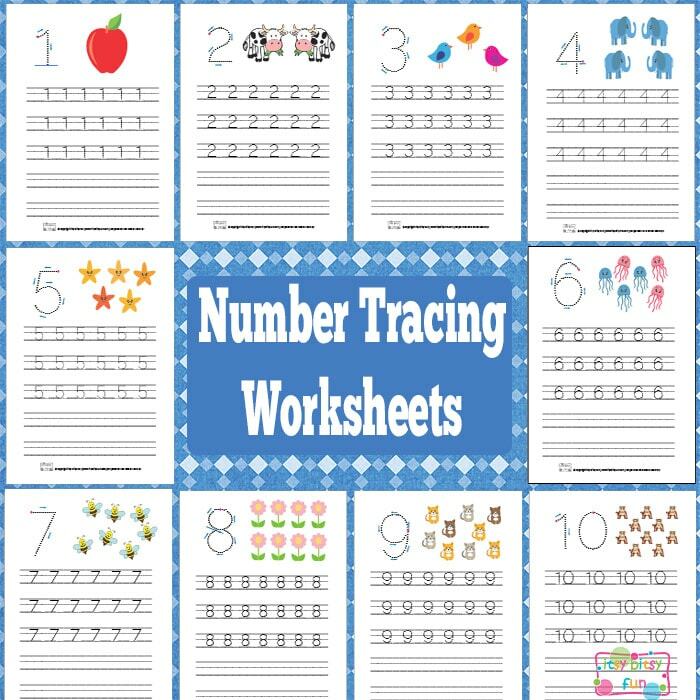 This numbers tracing worksheets pack has 10 pages to trace (as you probably guessed with numbers from 1 to 10). Each page has a large number with arrows to help show the kids how they should write down the numbers. Each page also has a pictures to count. On every page there are 3 rows meant for tracing and and two rows for independent writing (if kids are ready). I’ve been chatting with a few fans on Facebook and as there are more than one ways to write down and teach different numbers (1,4 and 9 are the culprits). We decided to make more versions of these tracing worksheets so you that they can best suit your needs. I’ve divided them into few different files and you can mix and match them – 2,3,5,6,7,8 separately as they are generally the same and others separately each having more than one version. If you are ready to take on some serious math though and by serious I mean subtraction and addition do check these apple file folder games and pear file folder games!